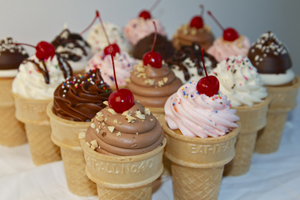 Assorted flavored cupcake baked inside of a cone, frosted to perfection to match your favorite ice-cream cone. (dozen min. order) Gluten Free Available!